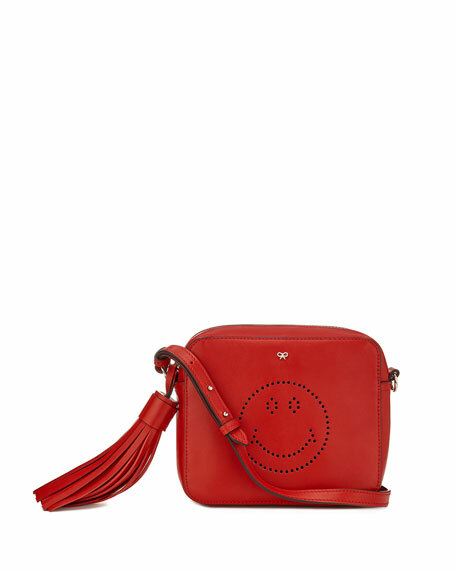 Anya Hindmarch smooth calfskin crossbody bag. Smiley face perforation on front. Tiny bow plaque at top center. Zip top with large tassel pull. Suede lining; one card pocket. 6"H x 7"W x 2.8"D.
For in-store inquiries, use sku #143200.